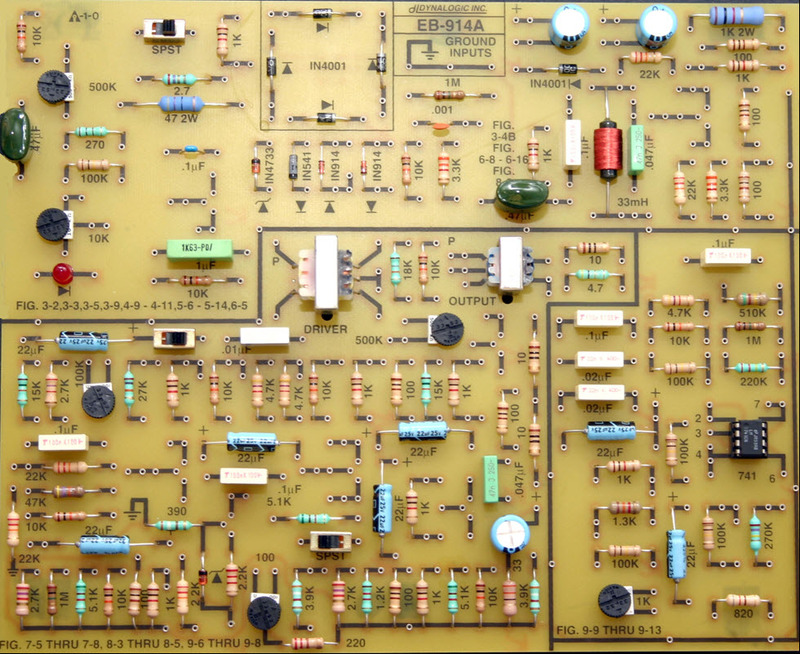 The EB-914A circuit board supports experiments with semiconductor devices, power supplies, and electronic circuits. The components are mounted uncommitted but some of the resistors are provided with a common ground. 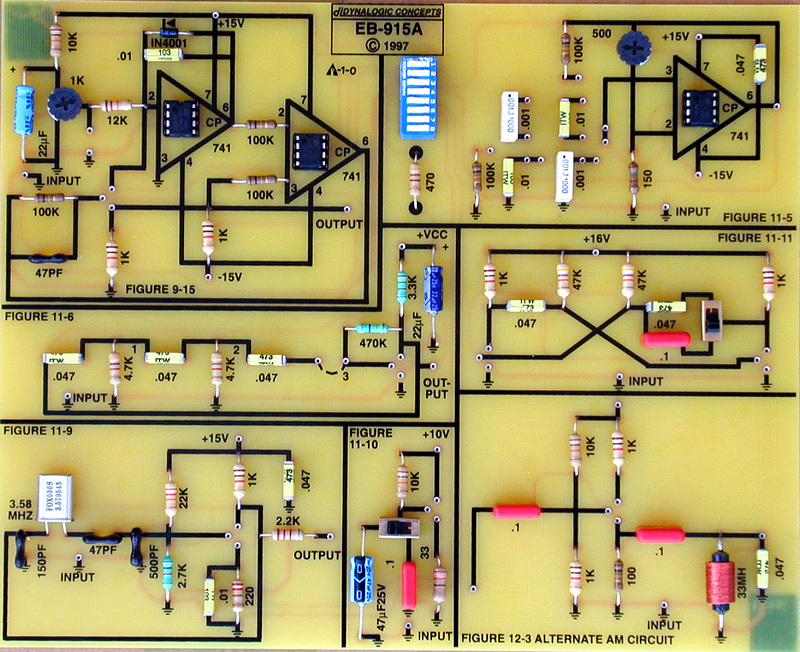 The EB-915A circuit board supports experiments with an A/D converter, oscillators and modulation. Here, the circuits are pre-wired but provisions are made for component changes and circuit changes as directed in the lab manual. As the students progress from semiconductor basics to electronic applications, less time is required for wiring. Educators know that circuit construction loses its value as students progress into applications. Dynalogic has responded by designing hardware to support this progression. thus allowing more time for analysis. It’s all about efficiency! 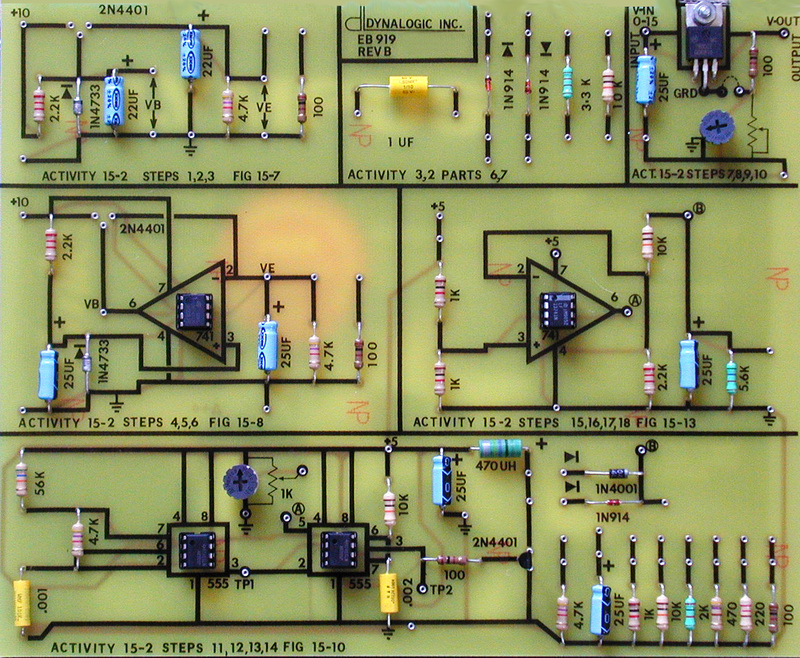 The EB-916A circuit board supports experiments with electronic timers, thyristor control circuits and radio receivers. Again, the circuits are pre-wired but provisions are made for component changes and circuit changes as directed in the lab manual. 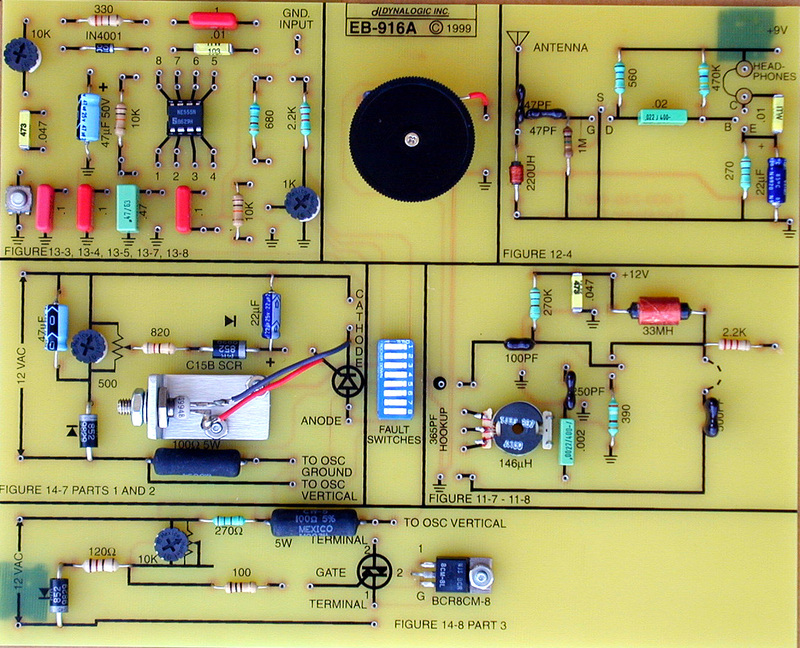 The EB-919 circuit board supports experiments with regulated power supplies, including switch-mode power supplies. Again, the circuits are pre-wired but provisions are made for component changes and circuit changes as directed in the lab manual.t.